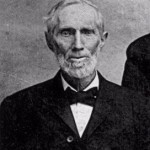 James Nickels, Sr. is not my direct line – he is my 6th great grand uncle and brother to my 6th Great Grandfather Jonathan Nichols/Nickles. Matthias Nickles, Sr (and Elizabeth Allen) Gx4 Grandson, and author of Journey Along the Holston: A History of the Nickels Family. 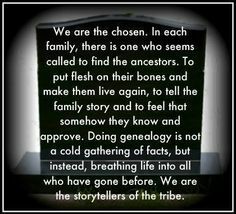 I am posting it so that others researching this family line will have further information to better help them discover their roots. All links, from this page, will take you to another descendant’s (of James Nickels) website where you can learn more about the people listed below. To view the story of James Nickels, Sr., written by Brian himself, please visit his website at this location. Please take note that I’ve been told that James NickELs is the one who changed the spelling of the Nichols, Nickles, etc. line to Nickels. Note that his brother, Jonathan, changed it to NickLEs. 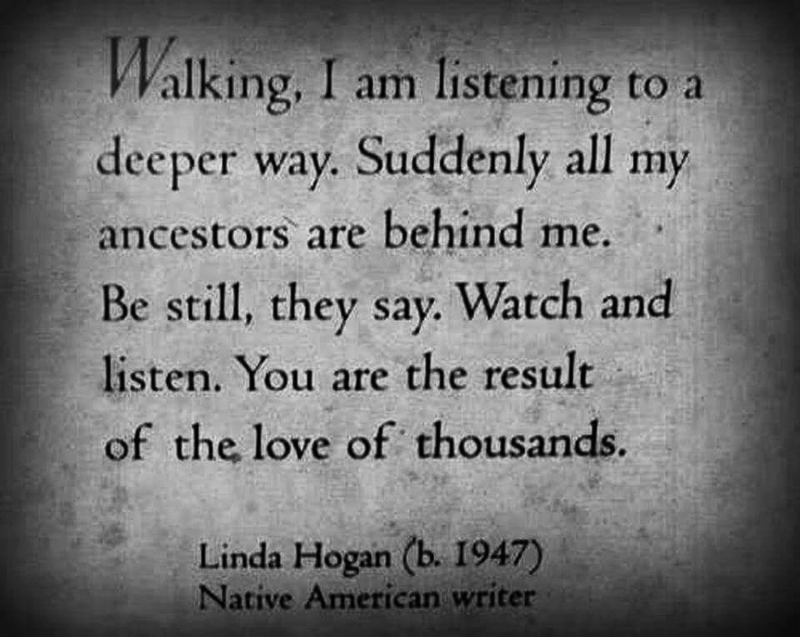 Between those two brothers, alone, this is why we find so many variations of the last name and lineage. Interesting note: Nickelsville, Virginia received its name as a result of the mercantile store started by William Nickles and Walter Nickels. The store was supported by Allen Nickels who transported goods to the store, and by Mathias Nickels who worked in the store. Walter Nickels was also the postmaster at Nickelsville, Virginia. Please be sure to read Brian’s post about “The Last Hanging in Scott County, Virginia” as it will certainly intrigue you. You can find that post here. 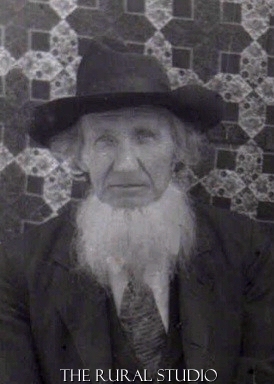 Born about 1781 in Virginia. Died August 1869 near Big Moccasin Creek in Scott County, Virginia. Notes: James was a pump-maker and was instrumental in the development of the water system for Gate City, Virginia. 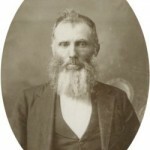 In August of 1821, James was qualified for Justice of the Peace. In September of 1830, James was qualified for Commissioner of Revenue for the south district of Scott County, Virginia. On January 13, 1803 James’ first marriage was to Jane Matney in Washington County, Virginia. Jane was born about 1785 in Tazewell County, Virginia. Jane died before 1855 in Pattonsville, Scott County, Virginia. On April 10, 1839 Jane filed for divorce in Scott County and the divorce was granted. According to the court documents, she and James had been separated since October 11, 1837. The divorce was granted and Jane subsequently lived with her oldest child, William Henderson Nickels. She never remarried. Born December 18, 1804 in Washington County, Virginia. Died November 9, 1865 in Pattonsville, Scott County, Virginia. William operated a general mercantile in Nickelsville, Virginia and later in Pattonsville. On February 4, 1830 William married his first wife Rebecca Evans in Scott County, Virginia. On May 7, 1855 William married his second wife Charlotte Lyons Lovel in Scott County, Virginia. Note: William Henderson Nickels, Jr., son of William Henderson, Sr. and Rebecca (Evans) Nickels, was born March 27, 1832 in Nickelsville, Scott Co., VA. He died March 15, 1916 in Duffield, Scott Co., VA. William was a merchant before and after the war. William enlisted as a Confederate soldier with Co. C of the 64th VA Mounted Infantry on February 19, 1863 in Washington Co., VA. He was promoted to Commissary Sergent before August 31, 1863. William married first Elizabeth Duff. 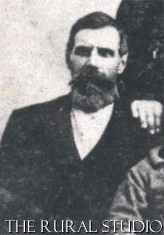 He married second Sarah Lawson. William and Elizabeth had seven children: Samuel Tipton Nickels, William Barlow Nickels, Martha “Mattie” Nickels, Nancy Elizabeth “Nannie” Nickels Parrish, Margaret Louise Nickels Horsley, Alice Nickels, and Patrick Nickels. William and Sarah had one child: John Thomas Nickels. Born September 15, 1807 in Russell County, Virginia. Died December 19, 1895 near Nickelsville, Virginia. James’ primary occupation was farmer. On January 7, 1828 James married Frances “Fannie” Godsey in Scott County, Virginia. 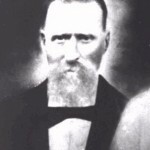 Note: James Godsey “Red Jim” Nickels, son of James, Jr. and Fannie (Godsey) Nickels, was born February 1828 in Nickelsville, Scott Co., VA. He died in 1928 in Grundy, Buchanan Co., VA. Jim was a Justice of the Peace for Buchanan Co., VA. He served with the 34th Battalion VA Cavalry during the Civil War. Note 2: Stephen J. Nickels, son of James, Jr. and Fannie (Godsey) Nickels, was born October 14, 1839 in Nickelsville, Scott Co., VA. He died December 27, 1912 in Wood near Dungannon, Scott Co., VA. He served with the 37th VA Infantry during the Civil War. Stephen married Lucy Ann Gray in July 1867. Stephen and Lucy had seven children: Flora Elizabeth Nickels Hobbs, Joseph T. Nickels, Laura Emogene Nickels Ramey, William Harvey Nickels, Lulia Nickels, Belle Nickels, and Earl Bays Nickels. Born about 1809 in Russell County, Virginia. Died in 1877 in Wise County, Virginia. on September 2, 1830 Cinderella married James Hiram Kilgore in Scott County, Virginia. Born September 27, 1811 in Russell County, Virginia. Died September 10, 1867 near Bristol, Virginia/Tennessee. Walter was postmaster at Nickelsville, Virginia. Walter was a partner in the mercantile business with his brother, William. On January 23, 1836 Walter married Jane Kilgore in Scott County, Virginia. Note: William Washington “Barlow” Nickels, son of Walter H. and Jane (Kilgore) Nickels, was born January 28, 1838 in Nickelsville, Scott Co., VA. He died September 12, 1909 in Gate City, Scott Co., VA. He was a merchant by trade. He served with the 25th VA Infantry during the Civil War. Barlow married Sarah Elizabeth Richmond on October 23, 1860 in Scott Co., VA. Barlow and Sarah had four children: Robert Henderson Nickels, Patrick Henry Nickels, George Emmett Nickels, and Isaac Benton Nickels. Note 2: Isaac Alderson Nickels, son of Walter H. and Jane (Kilgore) Nickels was born about 1836 in Nickelsville, Scott Co., VA. He died in 1893 in Bristol, Sullivan Co., TN. He served with the 37th VA Infantry during the Civil War. Isaac purchased the Exchange Hotel in Bristol, TN on February 12, 1864 for $20,000 in Confederate notes. He later renamed it the Nickels House. Isaac married Elizabeth E. Wood on February 21, 1865. Isaac and Elizabeth had two children: Blanche Nickels Fauqua and Myrtle Nickels Gordon. Born about 1812 in Russell County, Virginia. Died June 11, 1879 on his homeplace near his father’s property in Scott County, Virgina. Allen was a farmer and wagonmaster by trade. Allen transported goods for his brothers’ stores in both Nickelsville and Pattonsville. On June 2, 1832 Allen married Lucinda Salyer in Scott County, Virginia. Note: Henry Kane Nickels, son of Allen and Lucinda (Salyer) Nickels, was born February 17, 1839 in Scott Co., VA. He died October 11, 1911 at his home in Long Hollow near Nickelsville in Scott Co., VA. Kane made shoes for a living. 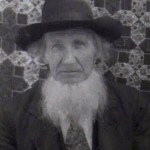 He enlisted as a Confederate soldier in Co. A of the 22nd VA Cavalry on August 4, 1863 in Scott Co., VA. His post-war pension application indicates that he served until the end of the war. It should be noted that Henry Kane Nickels was often erroneously listed as “H.R. Nickels” as the “K” was mistaken for an “R” due to the handwriting style. Kane purchased 22 1/2 acres of land from his former commander, H.F. Kendrick, on November 15, 1888. This land was located in Long Hollow. Kane married first Elizabeth A. “Betty” Marshall on November 21, 1861 in Scott Co., VA. He married second Sarah Ann Marshall on September 1, 1867 in Scott Co., VA. Sarah was the daughter of Elias and Elizabeth (Clark) Marshall. 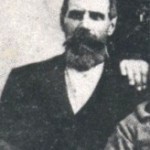 Kane and Sarah had seven children: William Henry “Billy” Nickels, Mary Ellen Nickels, Emily Frances Nickels Gibson, Alfred Martin Nickels, Newell Elias Nickels, Robert Allen Nickels, and Charles Franklin Nickels, Brian Nichol’s grandfather. Note 2: Peter Nickels, son of Allen and Lucinda (Salyer) Nickels, was born March 17, 1832 in Scott Co., VA. He died July 3, 1929 near Snowflake in Scott Co., VA. Peter enlisted as a Confederate soldier in Co. A of the 22nd VA Cavalry on August 4, 1861 in Scott Co., VA. He was wounded while a courier in Monroe Co., WV. He was given a disability discharge at Saltville on May 18, 1863. Peter married first Hannah Dean on December 17, 1857 in Scott Co., VA. 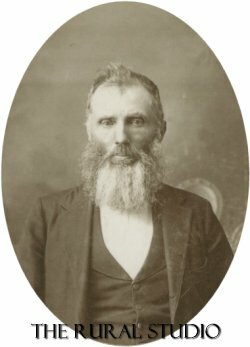 He married second Maria Cosby (Addington) Quillen on April 18, 1888 in Scott Co., VA. Peter and Hannah had five children: John Henry Nickels, David Marion “T” Nickels, Charles Franklin Nickels, Mary Louise “Dovie” Nickels, and Walter Barlow “Dock” Nickels. Born about 1816 in Scott County, Virginia. Died before 1880 in Wise County, Virginia. On January 11, 1837 Elizabeth married Samuel Courtney in Scott County, Virginia. Born February 7, 1817 in Scott County, Virginia. Died July 28, 1872 at his home near Big Moccasin Creek in Scott County, Virginia. Brooks was a blacksmith by trade. Tradition states that he drew up plans and helped build New Hope Church. On December 8, 1837 Brooks married his first wife Elizabeth Kilgore in Scott County, Virginia. Born July 1, 1819 in Scott County, Virginia. Died May 10, 1899 in Wise County, Virginia. Born December 1, 1820 in Scott County, Virginia. Died June 17, 1902 near Coeburn in Wise County, Virginia. He worked for his brother, William, at both the Nickelsville and Pattonsville stores. On August 6, 1846 Mathias married Louisa D. Harmon in Scott County, Virginia. Note: He served with the 88th Battalion VA Militia during the Civil War. On June 12, 1855 James’ second marriage was to Serena Jaynes in Scott County, Virginia. Serena was born about 1812. Serena died September 11, 1888 in Scott County, Virginia. Born about 1838 in Scott County, Virginia. He was living in the household with Serena Jaynes in 1850. He is not listed on the 1860 census of Scott County, Virginia with the rest of his family. He is not mentioned in James Nickels, Sr.’s will. Born March 1840 in Scott County, Virginia. On June 2, 1858 Mary married Pleasant J. Steffey in Scott County, Virginia. Born December 5, 1846 in Scott County, Virginia. Died December 15, 1889 in Scott County, Virginia. On August 22, 1864 Lucinda married John W. Renfro in Scott County, Virginia. Born October 1847 in Scott County, Virginia. Died in 1929 in Pike County, Kentucky. on May 2, 1866 Hannah married John Wesley Steffey in Scott County, Virginia. Born February 1850 in Scott County, Virginia. Died after 1920 near Dungannon in Scott County, Virginia. 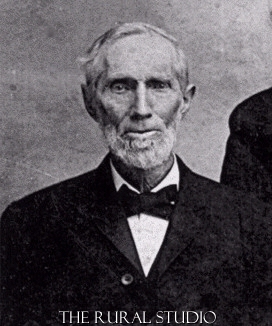 George served in Company C, 64th Virginia Mounted Infantry during the Civil War. On May 12, 1869 George married hs first wife Delilah Stapleton in Scott County, Virginia. In 1905 George married his second wife Canzadia “Ada” Swain. In 1919 George married his third wife Mary Hammonds. Note: George enlisted as a Confederate soldier with Co. C in the 64th VA Mounted Infantry in 1861. He served four years and is included on the 1920 Scott Co., VA pension list. George and Lila had four children: D.F.L. “Lewis” Nickels, Elizabeth Nickels Smith, James Nickels, and Virginia Nickels Steffey. George and Ada had six children: George Washington Nickels, Jr., Ella Nickels Nelms, Serena “Reney” Nickels Gibson, Elsie Nickels Gibson, Oscar Nickels, and Dolly Nickels. Born March 1852 in Scott County, Virginia. Died in 1909 in Nickelsville, Scott County, Virginia. On October 28, 1875 Matilda married James Dean in Scott County, Virginia. 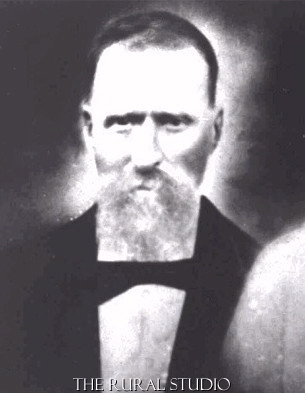 Born about 1853 in Scott County, Virginia. On May 11, 1869 Dulaney married Eli S. Salyer in Scott County, Virginia. They divorced on October 10, 1871. They re-married on October 18, 1887 and divorced again in 1896. Born January 1854 in Scott County, Virginia. Died December 22, 1913 in Pike County, Kentucky. In 1878 Boenerges married Mary Ellen Moore. Born about 1855 in Scott County, Virginia. On January 14, 1892 Martha married Patton Ramey in Scott County, Virginia. This entry was posted in General and tagged james, jane, jaynes, matney, nickles, serena. Bookmark the permalink. By any chance… I am looking for the Jennie Nichels who married Dewey Smith who had Mary Elizabeth Smith (1907-1982) I am trying to trace Jennie’s line. Any idea if one of these folks are her people? Looking for information on Jabez M Nichols b c 1819 VA d c 1884? KY? m Mary Jane Cocke on 27 Mar 1848 Hardin, KY. Mary Jane dau of John M Cocke & Sarah Love. Mary Jane b 1831 KY d 1876? Do you have copy of the work by Brian Keith Nichols? The links are broken. Yes, I have a copy of Brian’s genealogy — please feel free to get in touch with me. My husband- Michael Nickles, is the the great grandson of Birt Nickles. I believe Birt’s father is Nathaniel Nickles and Glatha Moore, son of William Nickels. He was told that Allen and Lucinda were his Gx4 grandparents. But that doesn’t appear to be so. Can you tell me who were this lineage starts/ends. I’m so lost. I forgot to add, I found a census from 1850 that list 10 children for Allen and Lucinda Nickels, ages 1-16, including Nathaniel Nickels. I am confused to why both you and Keith only have 2 listed, Henry Kane and Peter. You’re quite welcome 🙂 The Nickels, Nickles, Nichols line is my absolute family line to research…it was my first and what pulled me into this little obsession I have with family history. Jennie, he’s my GG Grandfather, as well, on my Mother’s side. My name is Dani Nickels. From what my grandfather has told me Mathias Nickels is my 8th-great-grandfather. 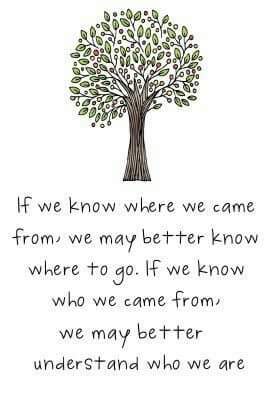 I am very curious to find out where we came from. Thanks so much for writing what you know re: James Nickels Sr. Much of it I have in my research but I always love finding new material to cross reference with. I did not have the spouses and dates of marriages for most though. This is very helpful. thank you for the info Sir, G.W. Nickels was my great , great grandad, Lewis was my grandpaws daddy….i didnt have allot of the family tree, so thank you for that =) would love to have copies of any pics you may have from that branch of the family. thank ya much! For all of you searching Nickels and various spellings. You must understand there is no record of our ancestors actually writing there names. All deeds , wills, census and other documents are copies made by Court clerks and various other enumerators. So the spelling of the last name is rather moot. However I have found a petition written and signed by James Nickels , Sr. This is the only document that bares his signature. I am trying to reconnect with Brian Nichols and hi lylwife Brenda . . . I’ve lost touch with everyone, unfortunately . . .
My phone number is (removed). Sue Appleberry, (removed)– San Antonio, TX 78213 . . . I also have close cousins who want to pay a visit and learn as much about the Nickels/Nichols as possible . . . we’re descended from Wm Jr. — Are you still having reunions ? I checked back to see if there was a reply to my comments and they are gone. Hoping that you can help me find out if I am connected as a lot of the same first names match many of mine. Most of my info is from my late Grandmother Nickels who lived in Mendota, Va and after my Grandfather, William Wolfe Nickels died she lived with us till she died in 1972 and she told me many stories. She said there was 3 Nickels Brothers who came over on the Mayflower and I do not know which generation she was alluding to but my Grandfather had a Brother Walter Nickels. My Grandfather owned Clinch Mountain until the depression. I hope I will hear from you. I have some new information…wish I could share a picture as my cousin’s father kept records and she shared that my Great Grandfather was Charles William Nickels and he married Rebecca Barker. Levisa or louvisa Nickels (found it spelled two ways) was the sister of my Great Grandfather and she married Nathaniel Bays and Levisa Nickels Bays is the grandmother to AP Carter. Brooks and Elizabeth Nickels are my Great Great Grandparents.